Jae Choi Kim practices in the field of business law, real estate, estate planning, trust law, immigration law and probate law. Jae represents corporations, broad sectors of family owned businesses and individuals in various commercial transactions and real estate transactions and counsels closely held business entities in business succession planning. Jae also advises corporations and corporate managers and executives on business immigration matters. She is a frequent guest speaker at various organizations on topics in business and estate planning. Before receiving her law degree, Jae worked in the private sector running a family business and in government. Her business experience includes managing, financing, negotiating business sales, real estate development and transactions, environmental remediation and compliance, and negotiating with the Internal Revenue Service on various tax matters. In government from 1993 to 1994, Jae worked as a Staff Assistant for United States Senator Carol Moseley-Braun. She was responsible for issues concerning the State of Illinois in the areas of international trade, NAFTA, the U.S. State Department, immigration and Asian affairs. As a Staff Assistant, Jae represented the Senator at various business and constituent functions. While in government, Jae lobbied and coordinated a hearing on civil rights issues, which resulted in a publication: “Civil Rights Issues Facing Asian Americans in Metropolitan Chicago” by the Illinois Advisory Committee to the United States Commission on Civil Rights. She was born in Seoul, Korea and is fluent in Korean. 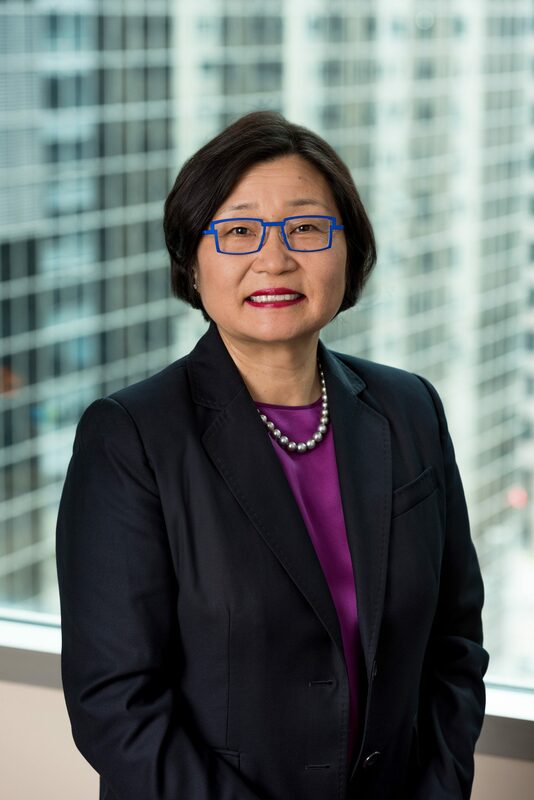 Jae is a member of the Illinois State Bar Association, the American Bar Association, the Chicago Bar Association, and the Asian American Bar Association. Jae is currently the legal counsel to the Korean American Women’s Association of Chicago. Jae is also an advisor to the Korean American Merchant’s Association as well as other not- for-profit scholarship organizations. Long active in civic and community work, Jae is a member of the Illinois Advisory Committee to the United States Civil Rights Commission and an advisor to the Asian American Institute, as well as being a board member of Chicago Area Ethnic Resources. She has also served on boards and advisory committees to various public organizations such as the Academic Accountability Council of the Chicago Public Schools, Columbia College Small Business Advisory Committee, and the City Colleges of Chicago Minority and Women Business Advisory Board. In 1997, she was invited to be a fellow of the Leadership of Greater Chicago. Jae was one of ten Asian American leaders in the country invited by the American Jewish Committee to participate in an educational seminar in Israel in 1994. Jae has served as the spokesperson on behalf of the Korean American community in the Chicago area during the painful period during the Los Angeles riots in the aftermath of the Rodney King verdict in 1992. In recognition of her work in inter-group relations, she was awarded the Woman of Excellence for Community Development Award by Rainbow PUSH Coalition.